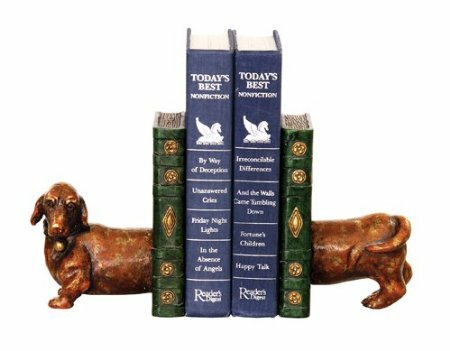 Display your books in style with this beautiful pair of Peppy Puppy Daschund Bookends. Whether you are displaying dog-themed bestsellers like The Art of Racing in the Rain and Marley and Me or the classics, these bookends will spruce up your library and make you smile. Heavy high-quality material allows these bookends to hold up everything from your favorite paperbacks to heavy textbooks. To learn more about these well-read wienerdogs, click here.